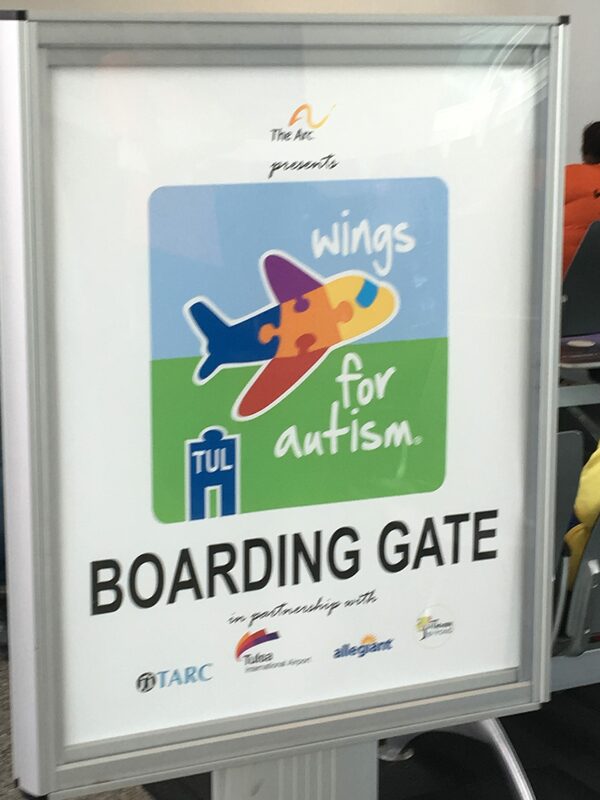 On Friday, we were able to participate in a Wings For Autism (http://www.thearc.org/wingsforautism) event in Tulsa, Oklahoma. 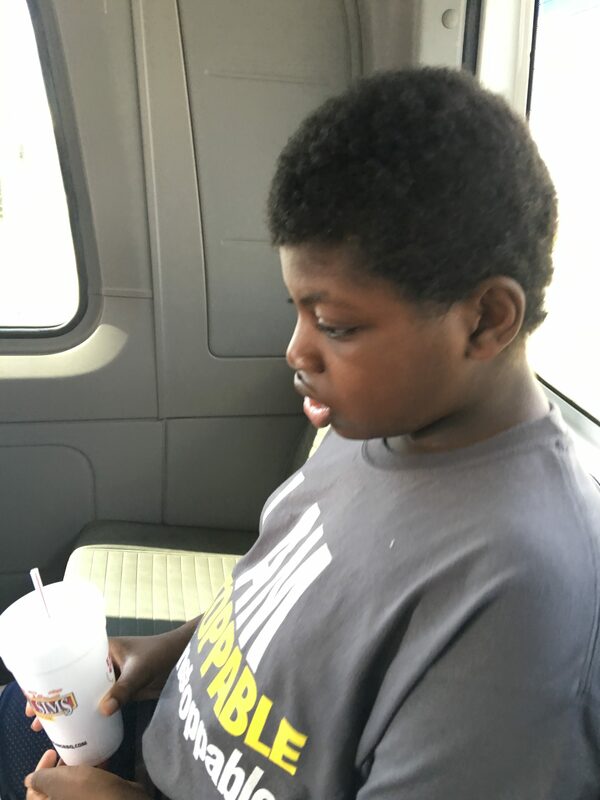 We had learned about this program a few years ago; however, there was never one in Wichita and it was never a convenient time for us to travel to take the kids. When we checked into this event, Tony was able to take the day off and, even though it was on a Friday, we felt that it was a good life skill, that it was worth taking the kids out of school for the day. 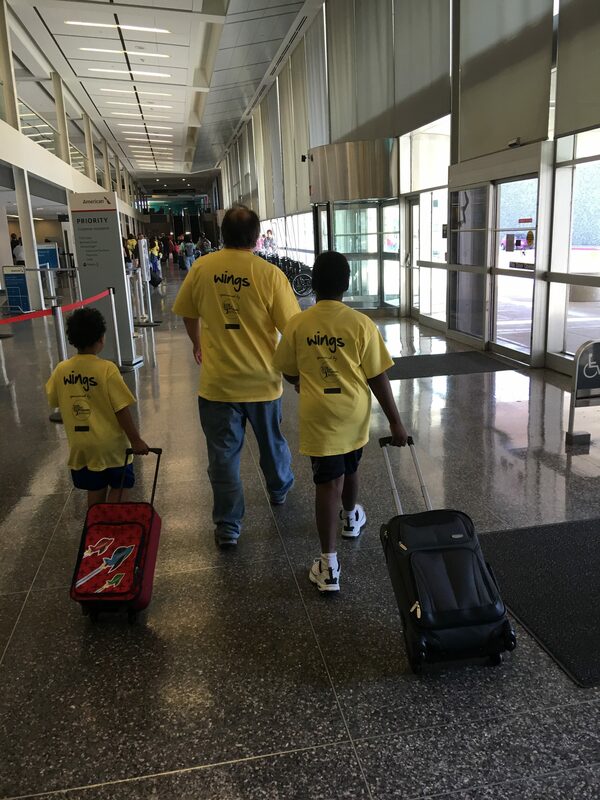 In the information we received it said to make it as real as possible for the children, so we decided to take the boys’ carry on suitcases so that they would have to have them x-rayed and put them in the overhead bin when we boarded the plane. We felt this was especially important for Caleb, in that he gets extremely possessive of his things. Steven is very “go with the flow,” so I wasn’t too worried about him. It was Caleb that I was more worried about. The agency that was responsible for registration sent us a social story, which I went over with Caleb. I showed him the body x-ray machine that he might have to go through, told him about having to take his shoes off, and about having to put his suitcase through the x-ray machine. With his short-term memory, you never know how much he is going to remember. So the day of the event, we constantly reiterated these things! We left the house about 10:45 and made it down to Tulsa around 2:00. We didn’t have to be to the airport until 3:30. Guess what we found for lunch? Billy Sims BBQ!!!!!! We absolutely love Billy Sims BBQ. Not just the fact that he was ONE of the best Detroit Lions running backs. But it is by far the BEST BBQ in the world!!!! YUMMY!!!!! We were stuffed! When we arrived at the airport we had to catch the shuttle to the terminal. Here are the boys getting with their suitcases and then waiting for the shuttle. We arrived a little early, so we had to wait some until check-in was open. After we checked in, we changed into our shirts and headed to the ticket counter. After getting our boarding passes, we headed to security. Unfortunately, we couldn’t take pictures of the security process. This is the process that I was the most worried about with Caleb, but he did GREAT!!!! He was trying to give his suitcase to every security guard that we saw! It was quite comical actually. Then we had so prepared him to take his shoes off, that he started to take his shoes off, but the security guard helping us told him he could leave them on. So we had to tell him to put his shoe back on. He was a little confused, but he complied easily. Thank you, Lord, for that adjustment!!!!! We also didn’t have to go through the full-body cameras, just the normal machine. As I went through the machine, it beeped. I was told that it was a random selection, so the boys saw me get my hands swiped for residue. After we finally finished with security we headed to our gate. 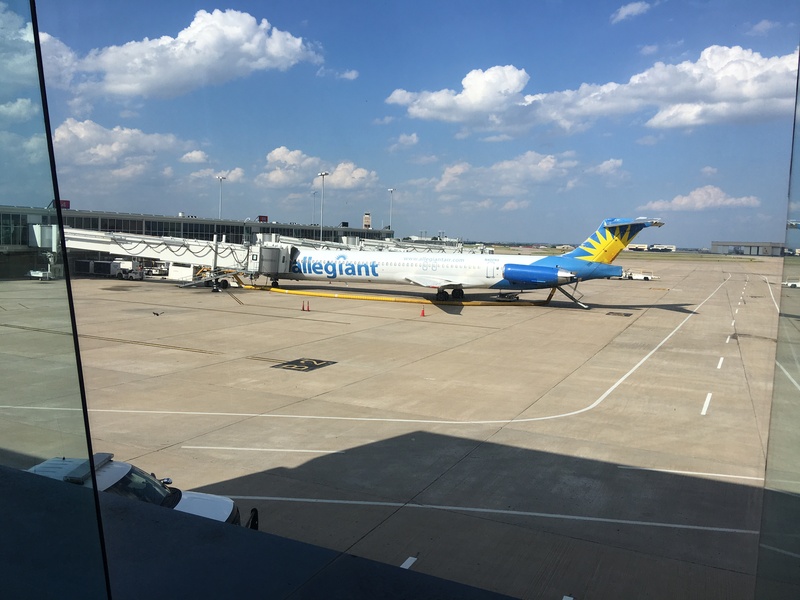 Here is a picture of our plane! And then it was time to get to our gate! We then waited until it was time to board. Here the boys are on the airplane. The flight attendants went through the safety demonstration and allowed the kids to press the flight attendant call button. The kids were also able to look in the cockpit as they were getting off the plane when that time came. I think this is such a wonderful program!!!! I am going to do what I can to bring this to Wichita!!!!!! We shouldn’t have to drive to Tulsa or Kansas City for this program!!!!! Wish me luck!